The not seasonally adjusted index, which represents the change in tonnage actually hauled by the fleets before any seasonal adjustment, equaled 140.4 in October which was 4.3% above the previous month (134.6). “The solid month-to-month gain, coupled with the acceleration in the year-over-year growth rate, is a good sign for the fourth quarter,” Costello said. “In addition, I’m expecting a solid fall freight season as holiday sales are forecasted to see the largest increase since 2011.” To watch Costello discuss the monthly tonnage report, click here. 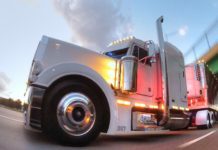 Trucking serves as a barometer of the U.S. economy, representing 69.1% of tonnage carried by all modes of domestic freight transportation, including manufactured and retail goods. 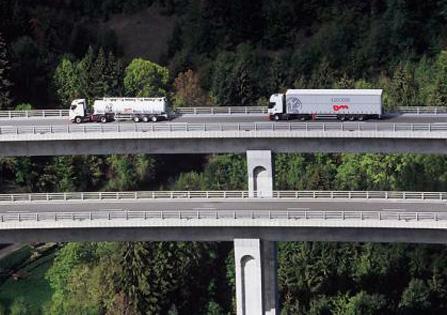 Trucks hauled 9.7 billion tons of freight in 2013. Motor carriers collected $681.7 billion, or 81.2% of total revenue earned by all transport modes. ATA calculates the tonnage index based on surveys from its membership and has been doing so since the 1970s. This is a preliminary figure and subject to change in the final report issued around the 10th day of the month. The report includes month-to-month and year-over-year results, relevant economic comparisons, and key financial indicators.